FRANKFURT -- German prosecutors are investigating current and former employees of Volkswagen Group-owned sports-car maker Porsche, including a management board member, as part of their inquiries into emissions manipulations, they said on Wednesday. Around 10 premises in Bavaria and Baden-Wuerttemberg were searched by around 160 officials, the prosecutor's office in Porsche's home town of Stuttgart said in a statement. "The three suspects include a member of the management board and a member of Porsche AG's higher management. The third suspect is no longer employed at Porsche AG," it said. 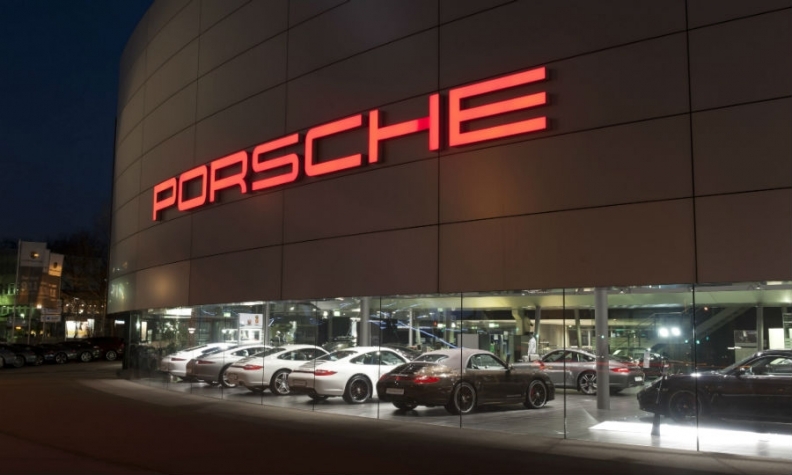 The searches form part of an investigation into employees of Porsche suspected of fraud and fraudulent advertising tied to manipulated emissions control systems of diesel passenger cars, the prosecutors said. A Porsche spokesman confirmed the searches, but declined to provide further details. Porsche and the prosecutors office did not name the people under investigation. Porsche CEO Oliver Blume is not the board member targeted by prosecutors, sources said. More than 2 years after Volkswagen admitted to cheating emissions tests on diesel engines in the United States, the carmaker and some of its brands continue to be investigated by authorities. Earlier this year, German prosecutors widened a probe of Porsche's sister brand Audi, which developed a 3.0-liter V6 diesel engine used in about 80,000 VW, Audi and Porsche models found to have been equipped with illicit software. Two Audi sites were also searched on Wednesday, Stuttgart prosecutors and an Audi spokesman said. The searches were at Audi's sites in Ingolstadt and Neckarsulm, Audi said.